Campwise Software is a product of RecSoft LLC and, as a company, we are focused on honoring God and serving the technology needs of resident camps, day camps and conference centers throughout America. 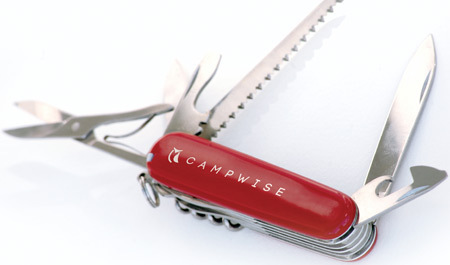 We developed Campwise because there was a need for state-of-the-art, cloud-based and user friendly products. At Campwise, we live to serve. Service is the very core of what we do. Our mission is to serve which allows our users can provide outstanding service to their customers. We provide outstanding user-friendly software, superior support and unlimited free training and phone assistance, knowledge base articles and webinars as part of our 100% satisfaction guaranteed customer service. A software-based management system that lets you provide excellent service to your camp and conference center customers in an effective and efficient way. Our beliefs and values are always an integral part of everything we do at Campwise including honor, respect, quality and excellence and profit. We operate RecSoft in a way that honors the God we serve. We operate with honesty, ethical behavior and trust in our associates, our customers and our vendors. When we say everyone we include associates, customers, vendors and anyone else we encounter as we do business day-to-day. It is our responsibility to recruit and train associates who can demonstrate and live the commitment we have to our customers. We believe the training and support of our customers is paramount and we will provide them with the tools they need to serve their customers. Our associates and customers deserve the best we can provide at all times including a state-of-the-art all-inclusive software package and superior customer service. We will always do our best to deliver the highest level of quality and excellence possible keeping in mind that those we serve deserve our best. Running a successful business requires a profit to provide for on-going investment in product, human resources and capital expenditures. We will run the business with a commitment to making a profit but, if needed, we will forego a larger profit in order to meet and exceed our other values.